Farm animal nature lamb on spring green grass nursery original watercolor miniature illustration art by Laurie Rohner. 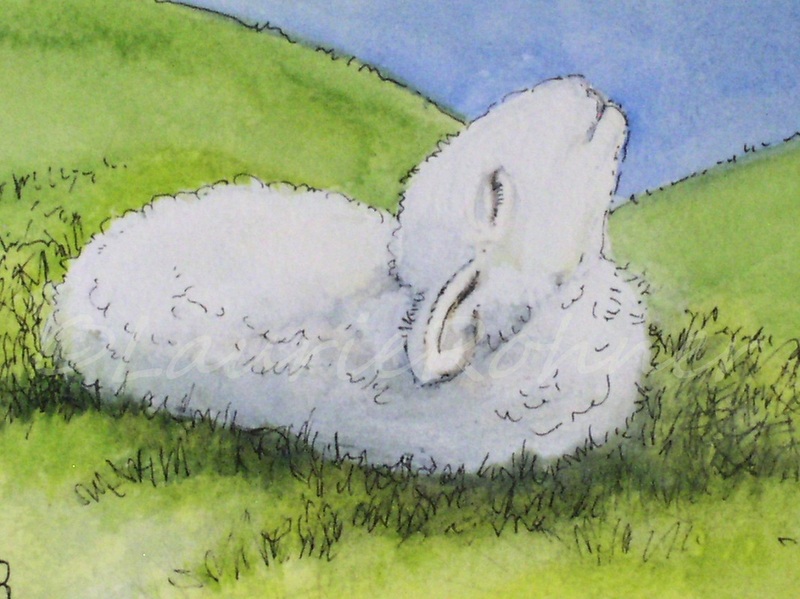 Nature watercolor lamb painting is an original illustration of a sheep looking up to the sky and being bathed in sunlight by Laurie Rohner, is an original art. 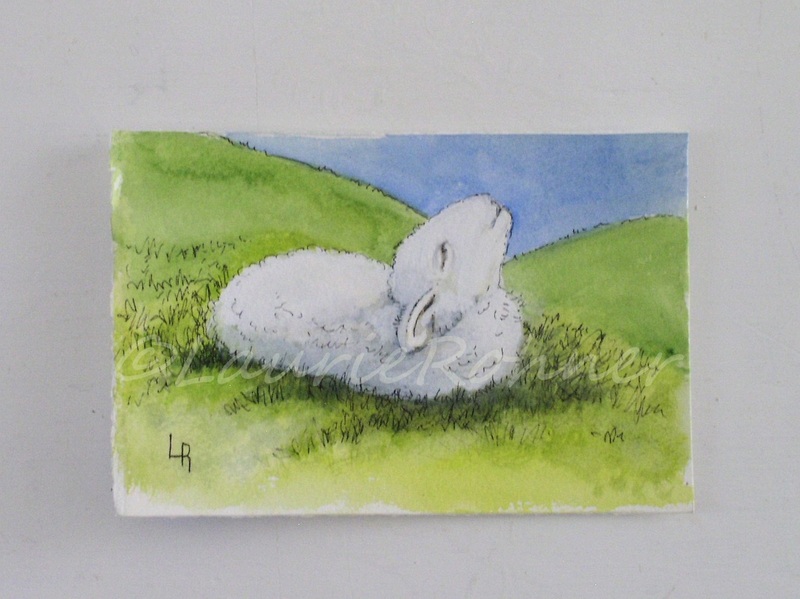 The lamb is sitting in a field of new spring green grass. My lamb is white with hues of blues in contrast to the landscape. Great framed in the nursery or as a reminder how grateful we are for what we have in our lives. Image size is 5" x 7". 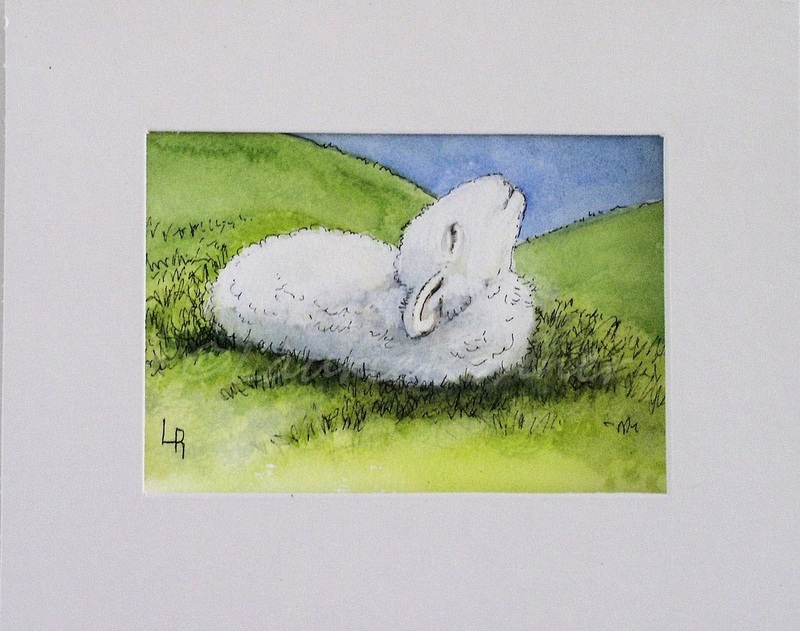 Paper size is 5.5" x 7.5"
Shown with mat (not include). Small Fact: The paper is so thick you can attach a ribbon to the back and hang it.